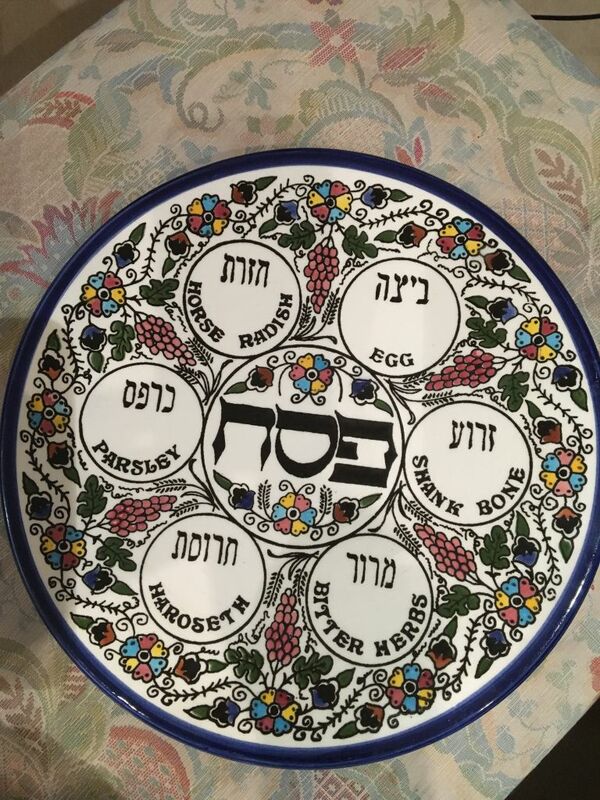 The seder plate Gerry Gruneberg owns is not one you can find in any shop. It is neither elaborate, nor has it any monetary value. But for the 85-year-old and his family, it has a very special place on their table. Born in Leipzig, Germany, Gerry fled to England aged six with his parents, arriving a couple of days before the outbreak of the Second World War. His parents, Paul and Grete, were both the only survivors of their close families. “My parents’ brothers and sisters and all their children were killed in the Holocaust,” says Gerry, who now lives in Borehamwood. However, in 1940, Prime Minister Winston Churchill, fearful of the possibility of spies among the German refugees, ordered many of the ‘enemy aliens’ into internment camps. Gerry’s father befriended Emil Frank, a teacher and chazzan in his native Germany, who became the camp’s rabbi and carpenter. While in Tartura, he fashioned a seder plate out of plywood for them all to use. Coincidentally, Gerry and his mother became friendly with Emil’s wife and children on the Isle of Man. “So much so that when we got released, we shared a house with the Franks,” Gerry says. “When the men came back from Australia in 1942, they joined us, bringing with them the seder plate. 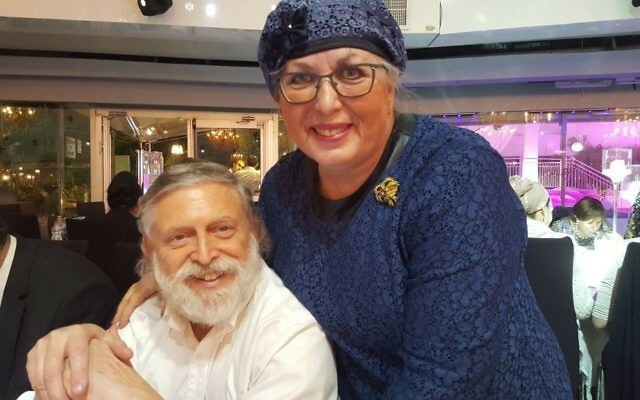 When the Franks eventually made aliyah more than 50 years ago, they left the seder plate with my parents, and when I got married, my father gave it to me. We used it until my children got married, and my youngest daughter, Karen, 54, has it now. We use it to this day. A crystal goblet will take pride of place on Sharon Katz’s seder table in Efrat, Gush Etzion, Israel, having been treasured for years and transferred across continents by her great-grandfather. Reb Avraham Zvi Kletzkin was the shammas of a little shtetl on the outskirts of Slonim, on the border of what was then Poland and Russia, at the end of the 19th century. Aside from having to wake everyone up for shul in the morning, he was also tasked with guarding the synagogue’s wine. Under her great-grandfather’s kitchen table was a secret hole in which he kept the wine and his own Kiddush cup. “Lined with gold around its lip, it was the only precious thing the family owned,” says Sharon. After the pogrom of 1903-4, her great-grandfather, a former tailor who had made uniforms for the Czar’s army, decided to send his older sons to America to earn their keep and be able to bring over the rest of the family. He had taught them his craft, and in America they worked as tailors, eventually earning enough money to send for the other three brothers. In 1913, they all sent for their parents and two younger siblings. Nikki Tapper, star of television show Gogglebox, uses her late grandmother (her father’s mother) Belle’s seder plate, which she admits is not fancy. The family, with around 45 members on Bella’s side, can get a bit boisterous – in a good way. 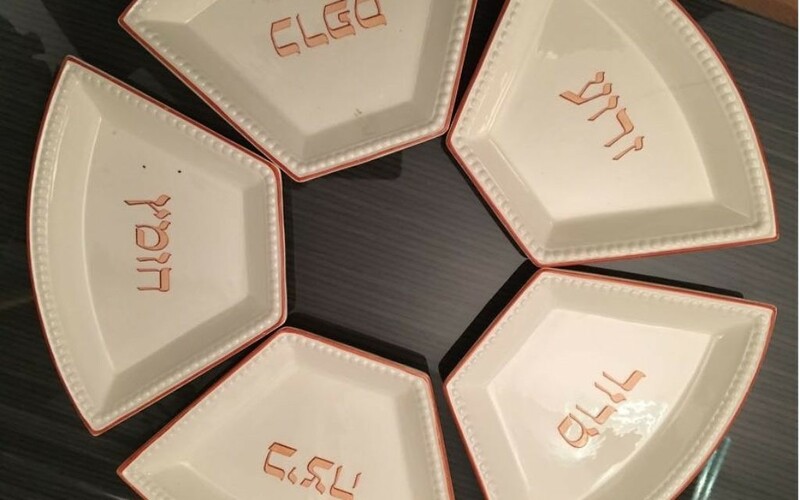 Susan Azulay’s seder plate, which looks like Spanish pottery, is also quite simple in design, but it was a gift from Rabbi Emanuel Levy, who officiated at her wedding to Jonathan in 1997. He also officiated at Jonathan’s barmitzvah in Southend, so the plate is cherished by the couple. 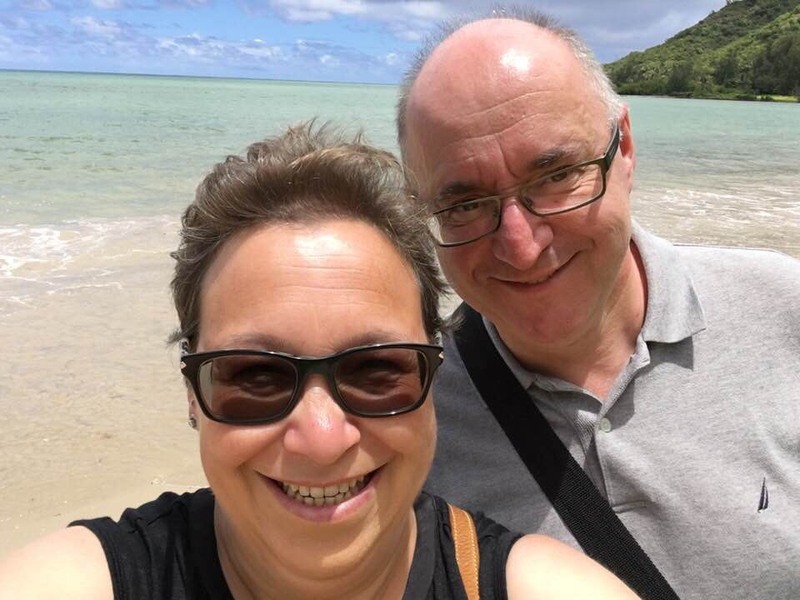 “We celebrated and hosted our first seder five weeks after we were married and have hosted first night seder in our home ever since,” explains Susan, 46, who lives in Canons Park. “The plate reminds me of our wedding and of Rabbi Levy and that’s why it’s so special,” she affirms. 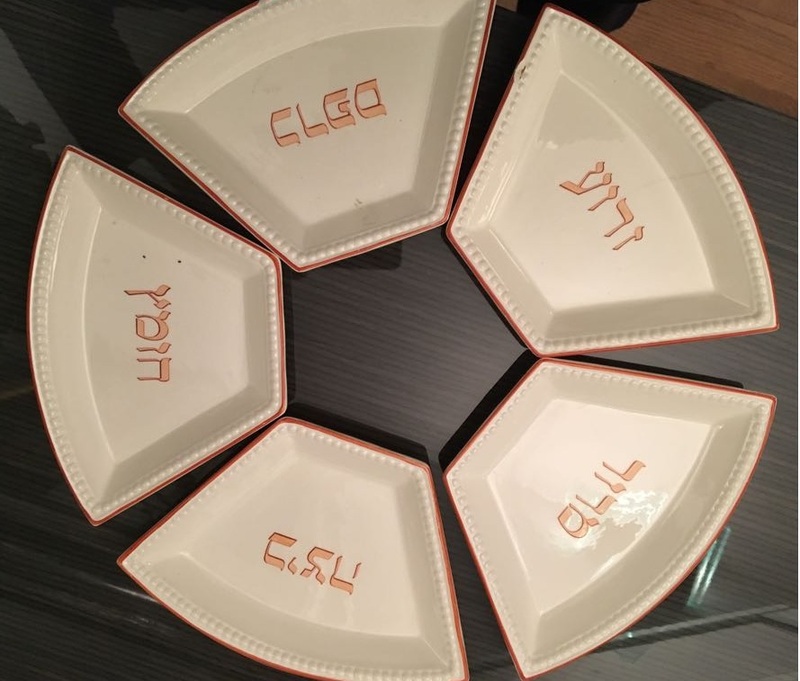 As Jews are commanded on Pesach to tell the story of our exodus from Egypt, personal items such as seder plates and goblets handed down the generations help us to connect to our family’s heritage. Chag sameach!